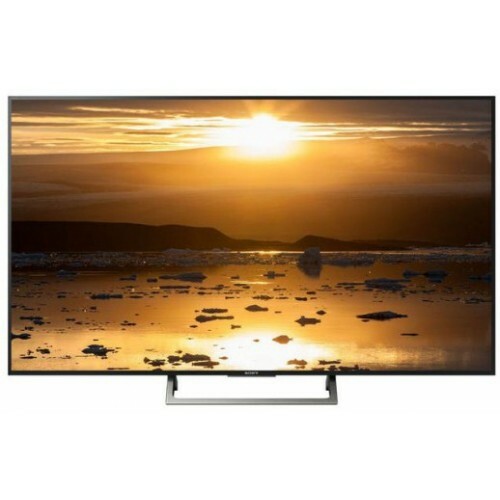 Sony KD-X8000E smart android 4K (3840x2160) LED Narrow aluminum look frame 49" TV can maintain detail lost in the darkest and brightest areas of a picture and more dynamic look with High Dynamic Range (HDR). This Android TV with advanced voice control provides access to movies and TV shows to thousands of apps, simply by talking. Its Digital Sound Enhancement Engine (DSEE) technology ensures restored for natural sound for better feel. Its Clear Audio+ feature fine-tunes TV sound for greater clarity and separation for listening as lifelike as your viewing. Purchase Sony 4K Smart TV at best price in Rangpur, Sylhet, Khulna, Dhaka & Chattagram. Our online delivery channel can send your desired TV at any location inside Bangladesh, all you need to do is to place an order at Star Tech online shop.